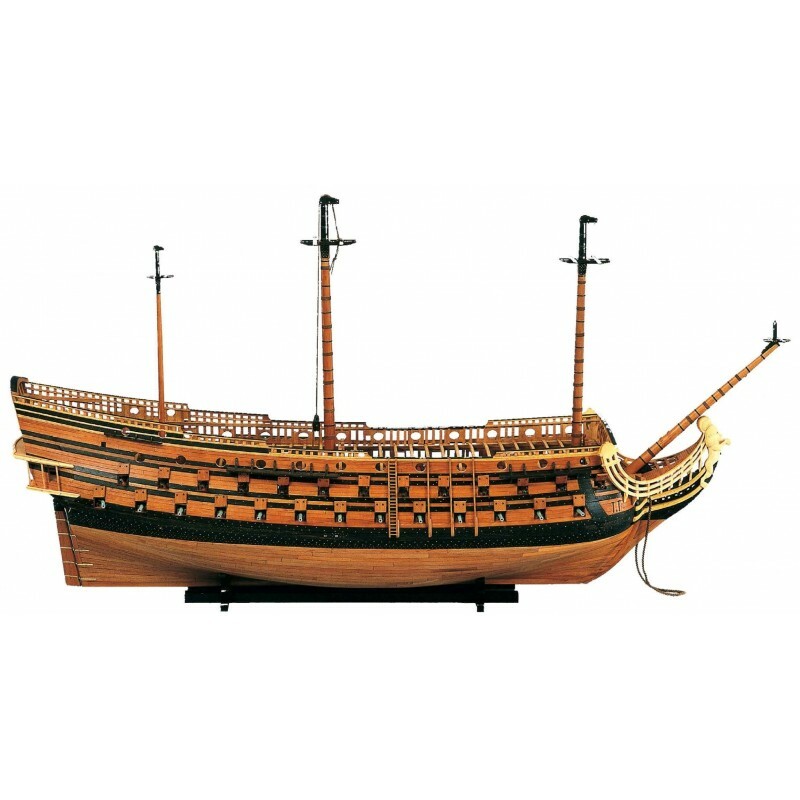 The Chevalier de Tourville's THREE-DECKER SHIP 1680. Thiswork is presented in 1 volumes: contains texts and illustrations, and the plates in a hard cover blue. The study begins by presenting the research ordered by Colbert and his son, carried out over a period of nearly twenty years, in order to establish a conceptual theory of ships. 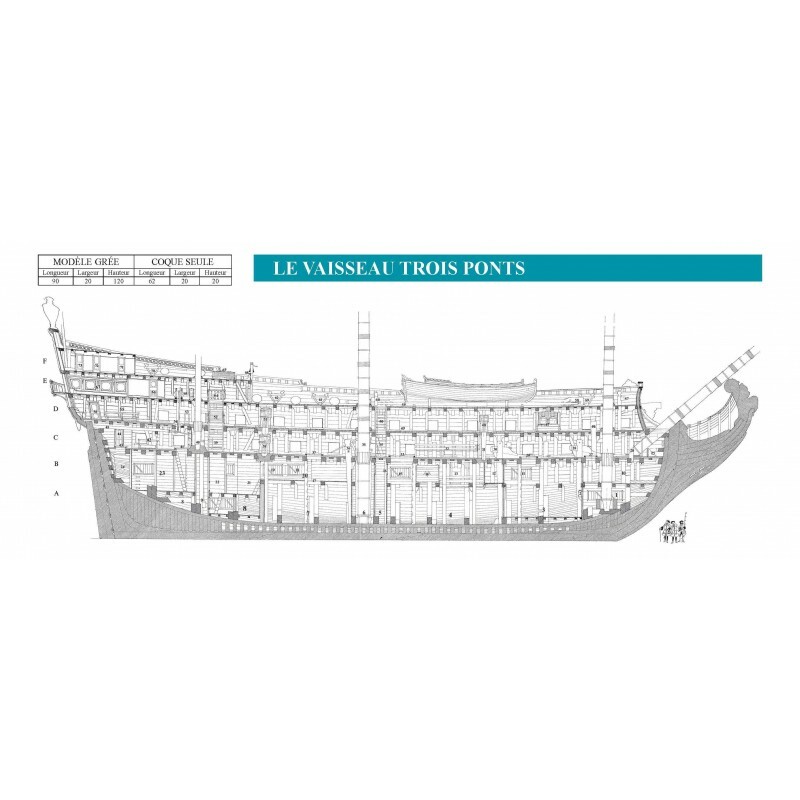 In the context of this ambitious undertaking, we find the Chevalier de Tourville's attempt in 1679-80 to persuade Colbert to adopt his ideas on ship building. The pages of this text, "Le rendez-vous de Rochefort", appropriately frame the vessel proposed by the Chevalier historically, and it is this dimension that is the main topic of the study. 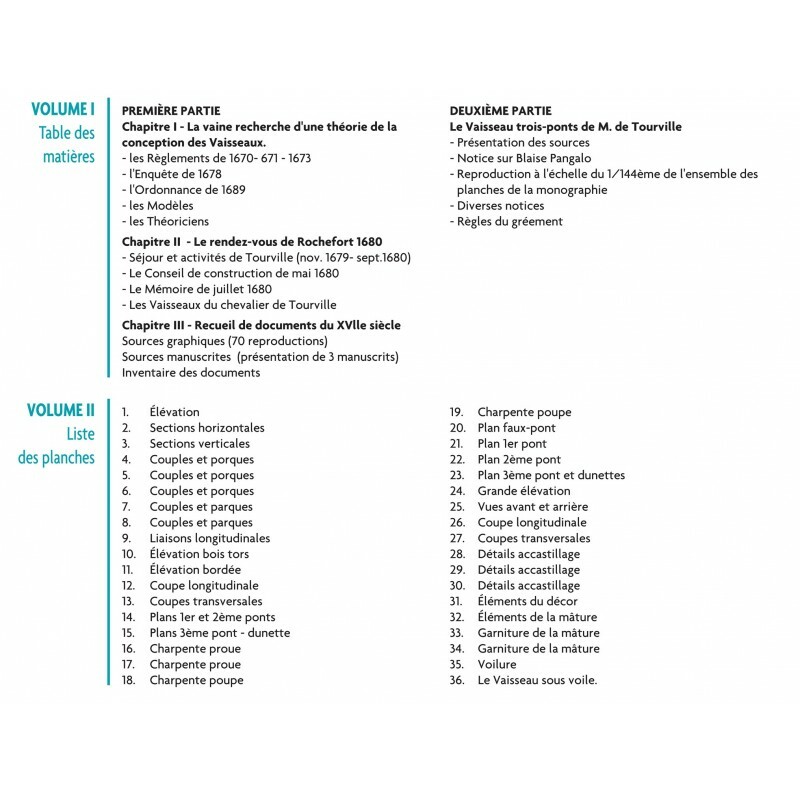 In the following pages we take the opportunity to include an annotated reproduction of all printed documents from the XVIIth century preserved in the Musée de la Marine in Paris. We also cite various manuscripts which are a useful source of knowledge of French naval architecture during the reign of Louis XIV. 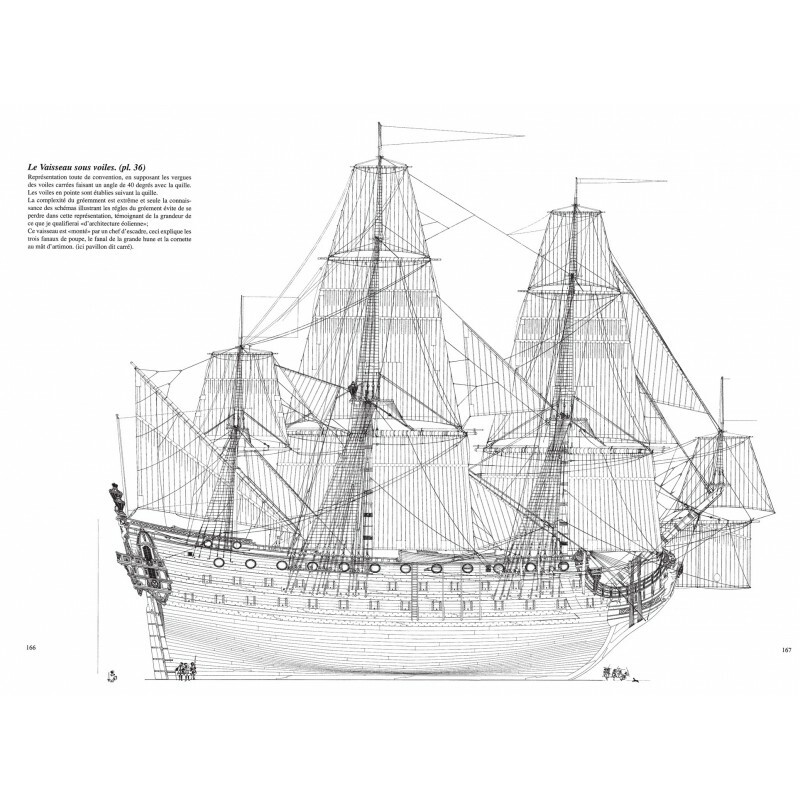 After these "Mélanges" which comprise nearly the first half of the volume, we turn our attention to the monograph of M. de Tourville's three-decker ship. 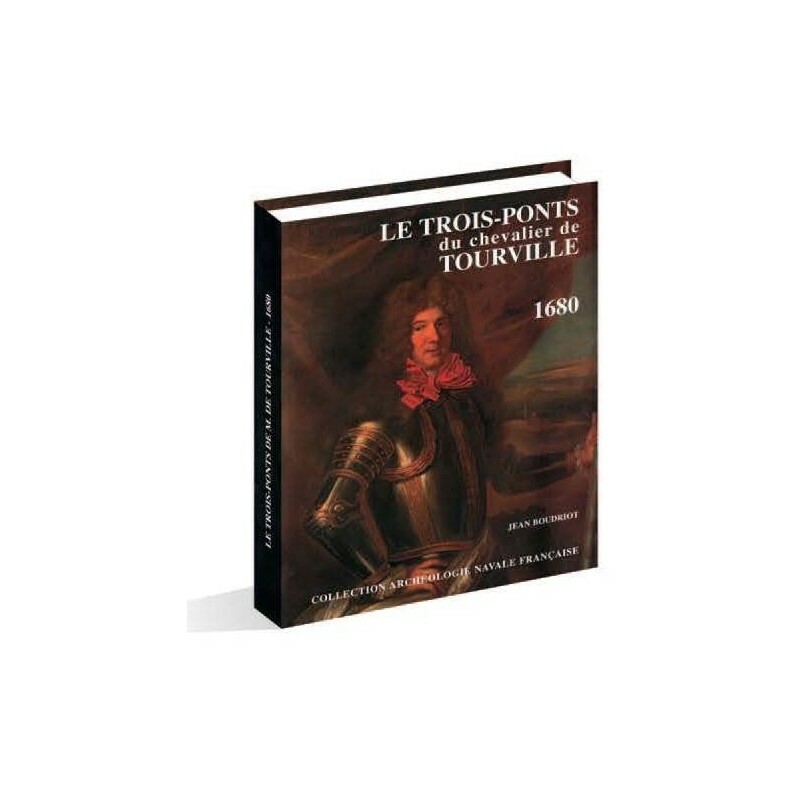 Sources are analyzed together with the basic document, a rare text from 1680, which is an authentic plan based on de Tourville's ideas drawn up by a mysterious character called Blaise Pangalo. A notice furnishes some information on this builder of Neapolitan origin who excels, from the 1680's on, as one of our foremost master builders. The plates of the monograph are reproduced at 1:44 scale. Each one is accompanied by explanatory comments. Schematically illustrated rigging rules follow the plates. We present the description of the ship in the same fashion and order as in the preceding monographs: measurements of the volume of the entire hull, drawings of all pieces of the timbers, description of interior installations and the fitting out of the hull, masting and its rigging, the rigging itself, and the sails. We affirm that this new publication in our collection is unique insofar as it not only present a three-decker ship, but more importantly, one that bears excellent witness to Louis XIV's Navy. 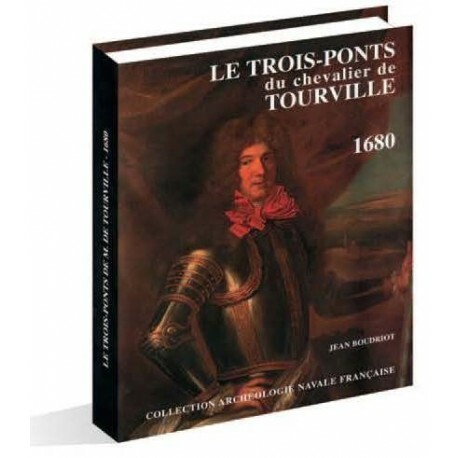 The book is presented in a plastic-wrapped blue-fabric cardboard box with flaps in the 24 x 31 cm format, with a four-color portrait of Tourville on the jacket. 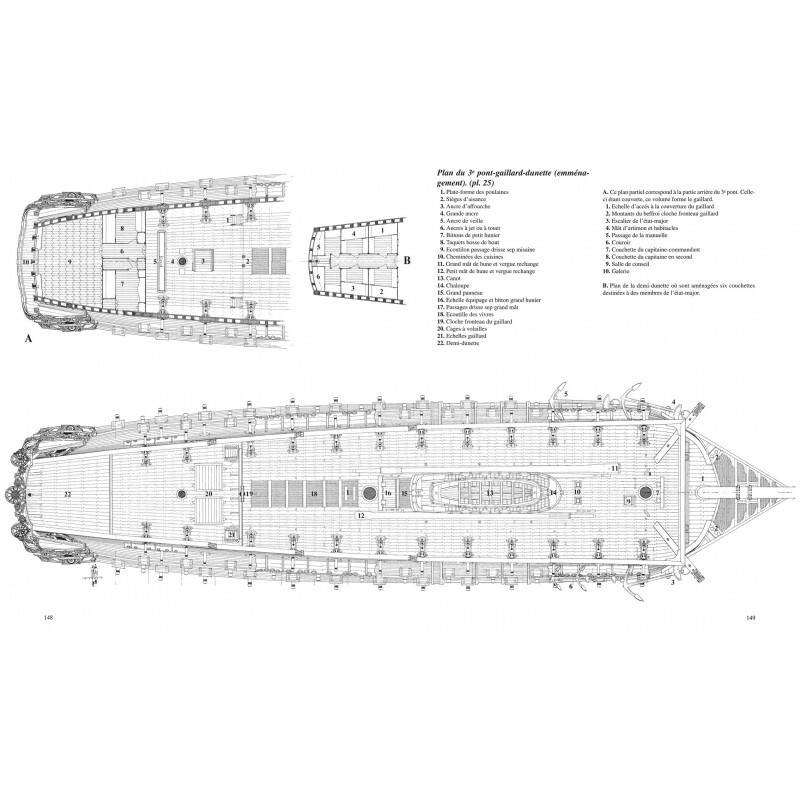 It contains 200 pages and 36 plates with the timber structure at the 1/48 scale (large 60 x 137 cm format), and a plate representing the ship under sail at the 1/96 scale.